When it comes to books by Asian authors or that take place in Asia, there’s always the fear of the unknown – will there be a suicide bombing, or violent mobs on the street – one never can tell from just the blurb on the back. The 3 Mistakes of My Life tells the story of three friends – Govind, Omi and Ishaan, living in Ahmedabad, Gujarat. Govind is excellent at mathematics and is giving tuition, Ishaan used to be the best cricket player at his school and Omi is the son of a Hindu priest. They start a cricket shop. A lot of this book is about cricket and business. As a person who knows very little about either of those, it was surprising that I found the book quite interesting. That’s because there are more themes in this book – relationships between a teacher (or tutor to be exact) and a student, politics, religion, coaching, etc. Ishaan is giving cricket tips at the shop, but he also starts to coach some of the neighborhood kids, one of whom, is Ali, a twelve-year old Muslim kid, who can score sixes (if anyone understands that… I tried to find out, but I’d rather spend more time with tensor calculus, thank you very much…) – so his really talented and Ishaan decides to do anything to make sure, that Ali becomes a great player. Okay, no more talk about the story. Now for whether or not there’ blood and gore in the book – yes, there is, as the Hindus and Muslims have some scores to settle (and it’s not in cricket). That was kind of surprising though, as the 150 or so pages before, everything was fine, and then suddenly there’s a lot of violence. Don’t remember there being any guns in the book, so I’m interested to see what they did differently in the movie. 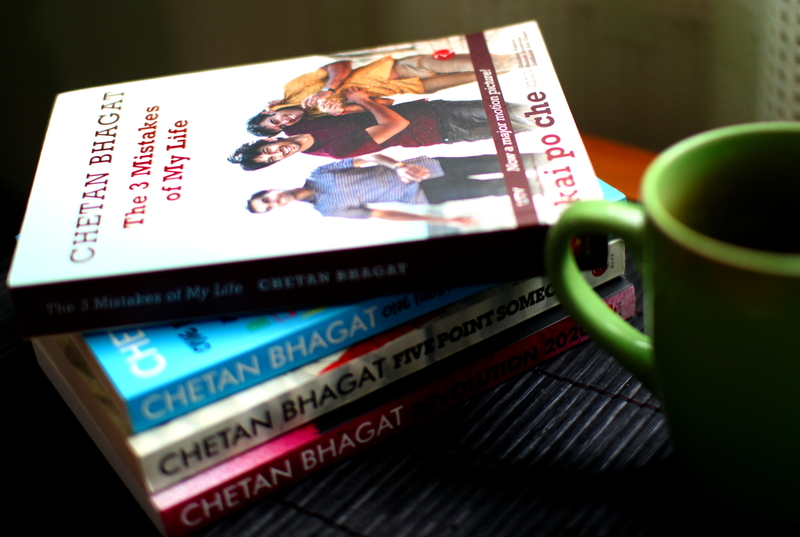 This entry was posted in Fiction, Indian literature and tagged bollywood, book review, books, Chetan Bhagat, kai po che, The 3 Mistakes of My Life. Bookmark the permalink. Haha! Do you really want to know? Well, a run is when the batsman runs between the two wickets while the other team try to catch the ball and throw it back. If they’re quick they can run more than 1. So they’re given six when they hit it over the boundary because it’s assumed they’d be able to run back and forward six times before the other lot get the ball back…but if the ball hits the ground before it reaches the boundary but still goes over, then they only get 4. Did I mention it’s a silly game?